Hire a pro to book it for you. A-lister celebrities always use a top of the line honeymoon travel specialist to book their honeymoon. They realize that travel agents have the inside connections to make their honeymoon perfect. This is something a computer doesn't have (fyi, if you were thinking of booking your honeymoon online). I'd like to share with you a very secluded tropical honeymoon location often visited by celebrities...the ultra-secluded Turtle Island, Fiji. With only 28 guests staying in the resort's 14 private two-room cottages at a time, you'll understand quickly why a-listers like Britney Spears and Jessica Simpson often grace this island with their presence. Turtle Island has 14 private beaches lining the blue lagoon's white sand...perfect for sunbathing, swimming and watching the sun set. 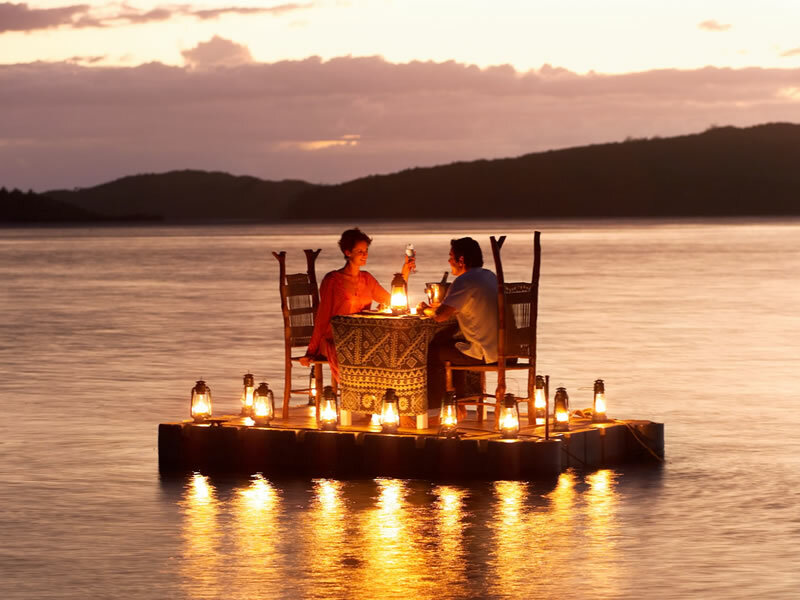 If seclusion, luxury and romance sounds like the perfect honeymoon for you, then give us a call and we'll tell you all about Turtle Island, Fiji.